Lilikoi has got to be one of the most intense fruits I have ever experienced. 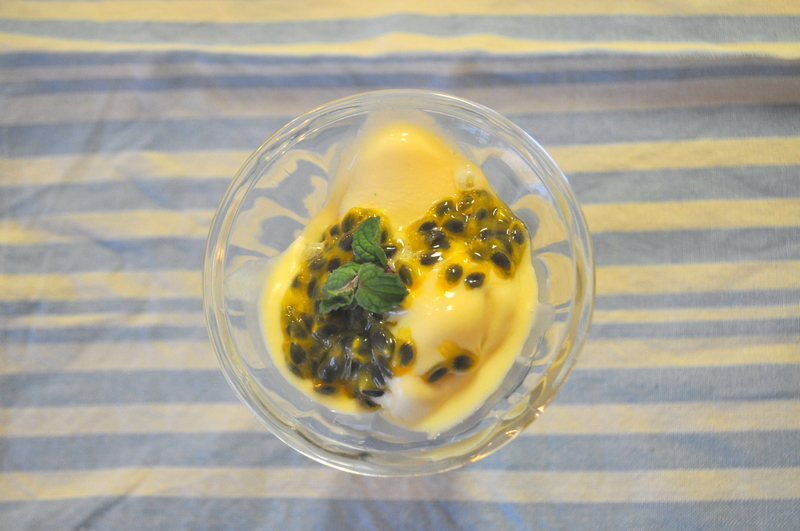 No wonder it’s called passion fruit. The smell alone is enough to drive me crazy. Each wrinkly little fruit is just waiting to get broken open and spill its juices. The bright, tart, sweet flavor is the essence of tropical taste. 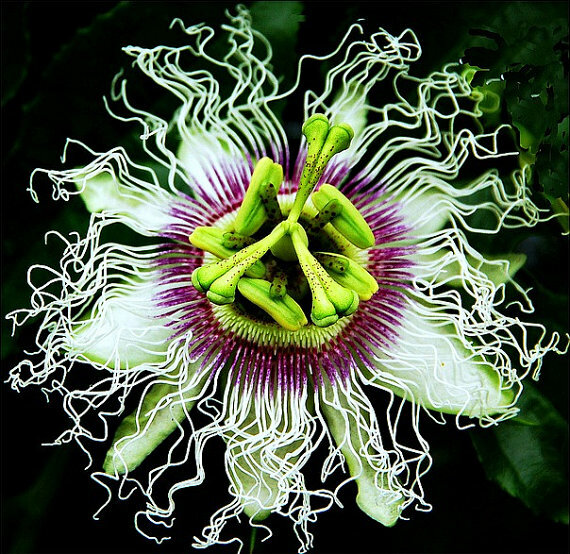 Passion fruit flowers are as strange and beautiful as the fruit they eventually become. They have tiny tendrils that surround the center of the flower that make them look almost as though they are under water. The tough outer leaves close around the dying flower and protect the tiny lilikoi growing inside. A few Thanksgiving’s ago, we strung lights across the patio at my dad’s house on the North Shore. We didn’t think much of it until the small, at that point sickly, lilikoi vine growing nearby decided to become strong and healthy. Within a few months, it completely filled in the lights and got so heavy we had to install metal cables to hold the whole thing up. Now the patio is completely covered in a canopy of vines, flowers, and fruit. Pure magic. This recipe was supposed to become a creamy dessert that was described to me a few days ago but it was so hot out that the base kept melting. As with any recipe that isn’t cooperating, I decided that the original idea just must not have been meant to be and switched tactics. Ice Cream! Really, what else could this have been? It seems so perfect that I should have started that way all along!